Live life to the full with ever radiant skin! Now 500 hours of hydration in a skincare product*. For women seeking intense and durable hydration. 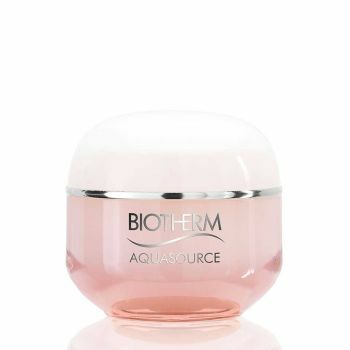 New Aquasource is ultra-concentrated in Life Plankton to keep skin hydrated all day long. Skin is as if instantly replenished. Rehydrated and glowing with health for a plumped skin feel. Skin loses half a litre of water every day. The new Aquasource formula leaves skin hydrated for hours. Paraben-free, new Aquasource maintains its unique gel-crème texture loved by women the world over. A fresh, pleasant feel which melts onto the skin to awaken the senses every day. *Cumulative duration of hydration for a 50ml pot of Aquasource normal to combination skin, based on 8 hours' hydration per application and an average application of 0.65ml. El conversor es solo ofrecido para su conveniencia. En el momento de la compra, el tipo de cambio se calculara de acuerdo a la cotización local.